Welcome to this week’s blog. At the moment I don’t know whether to laugh or cry. If I laugh my pitch is likely to be pretty high and the laugh more akin to hysteria than true mirth. If I cry it’s because Trump and Farage between them have unleashed tensions in our societies never before experienced by me and I’m crying through fear of what is to come. I’m not apportioning the blame to those two. Don’t misunderstand me. I think many of these tensions have, for far too long, been bubbling under the surface. And there is a reason so many people, who you and I are responsible for in the workplace, have voted for massive change. The anger and frustration driving so many voters stems from many things including intense feelings about Tony Blair’s behaviour to fear of Putin, bewilderment about Syria, incredulity about Merkel and of course outrage at ISIS. Trump is just the current detonator of the powder keg. And if you want to blame the voters, don’t. In my view the protestors only serve to raise tensions even further. No one is to blame and everyone is to blame so let’s quit the blame game and focus on what we in HR need to do. Have you ever seen the film Perfect Storm? Well HR is in one now. A cauldron of tensions stirred and heated by those who see this as their moment of glory. 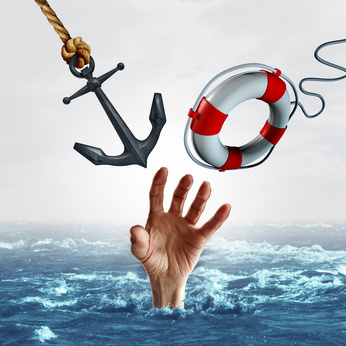 So what’s your HR experience of managing a perfect storm of employee tensions? I’m guessing you don’t have any. Not many of us do. So it’s time to get real and talk tough as HR is going to be badly needed in the weeks, months and years to come. High level of confidence – plus able to make decisions and take action quickly. Its not a time for indecision. Ability to be non judgemental/impartial at a time of immense conflict – HR has to be able to calm the waters and to do that we have to put our own feelings aside. Skilled at negotiation – as conflict is already high and HR has to be able to negotiate to reduce tensions and keep people in work ( both through retention of staff and avoidance of strikes/ disputes. Dedicated and determined – for at least a couple of years things are going to be rocky so we in HR are going to have to put the hours in to get the organisation through. Heads down, focussed, determined. So are you match ready my HR friends? Limbering up in the changing rooms? The pitch is awaiting its referee and like never before, eyes will be on you! Previous StoryDifficult people at work – who’s making your life a misery? Next StoryIslamaphobia and Bathmaphobia, but should it be Metathesiophobia?